After the initial examination, you can expect several additional visits until the final fixed bridge is permanently attached by your dentist. It is normal to experience some minor bruising and swelling in the gum and soft tissue after surgical placement of your dental implant(s) by your Oral Surgeon. Any discomfort is usually treated with an ordinary painkiller. Most patients do not complain of severe discomfort and some even return to work the next day! This alternative, to be made by your dentist, is often perceived as uncomfortable and a bit complicated to use. The function, however, can’t be compared to that of a bridge. 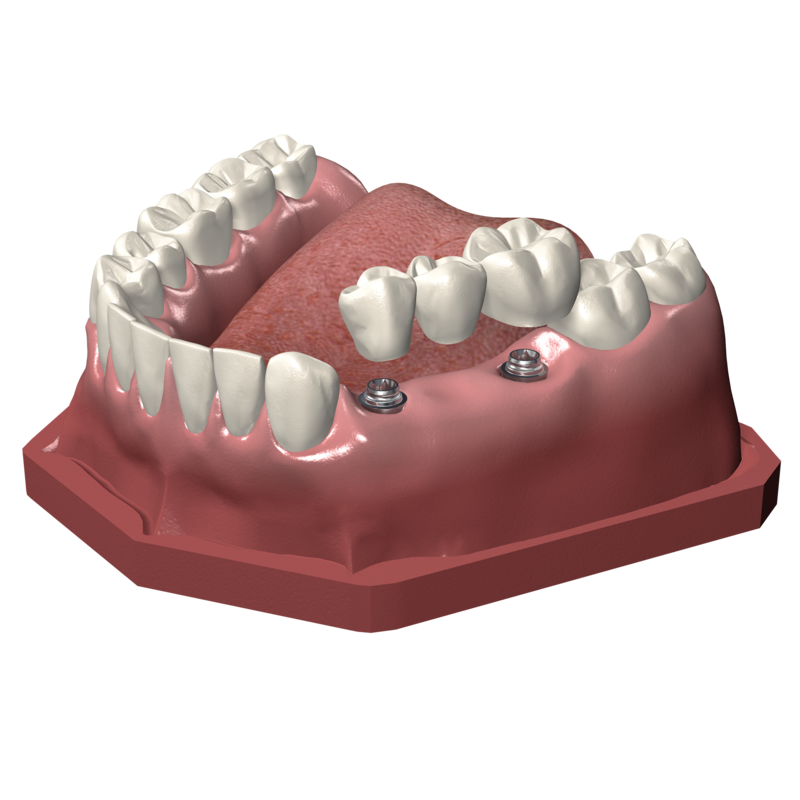 This partial denture is made of plastic and metal which clip onto your adjacent natural teeth. The fabrication and placement process is relatively simple, inexpensive and the natural teeth can be spared.